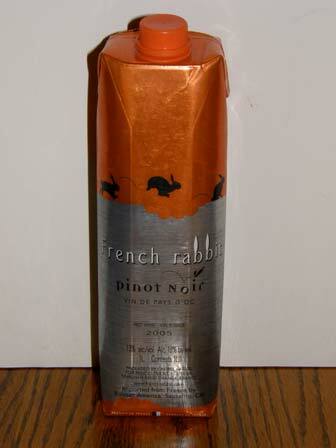 French rabbit wines are produced by Boisset America and are packaged in Tetra-Pak boxed recyclable container. Grapes are sourced from the Pays d'Oc region of Southern France. The wines are made for easy drinking and the container is very adaptable to travel and smuggling into football games or movies. Very inexpensive.